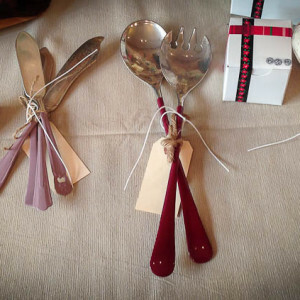 Here you will find some of our offerings past & present for the Home. 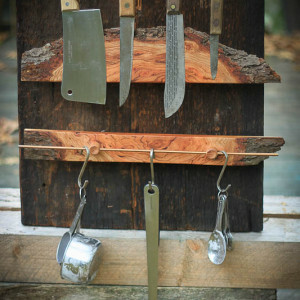 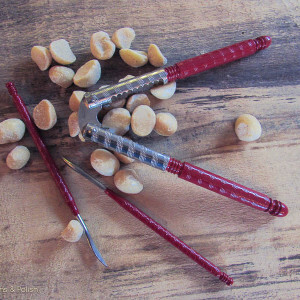 Customized Flatware & Servingware, Handmade Serving Boards and Live Edge Magnetic Knife Boards and Upcycled Vintage Goods & Finds. 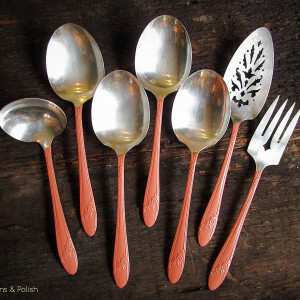 Many of these items or similar items are available for purchase in our online store. 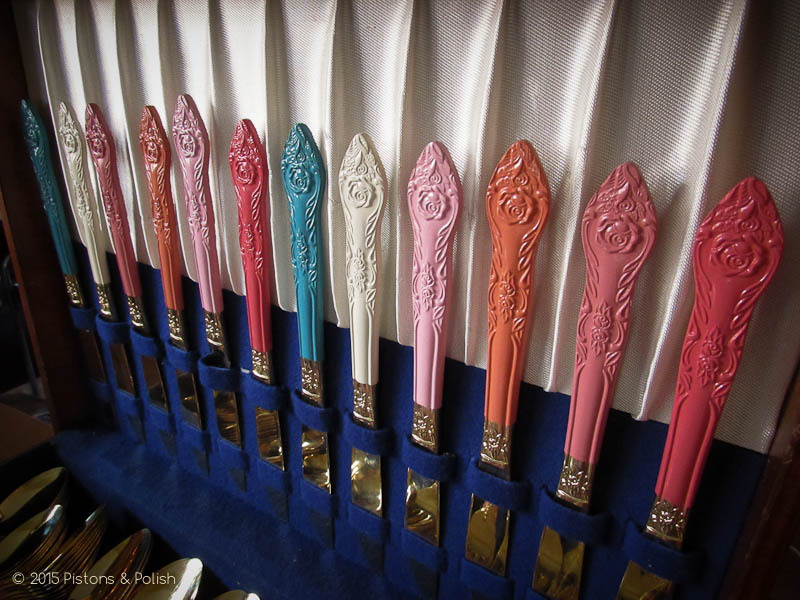 We are also more than happy to fulfill custom orders. 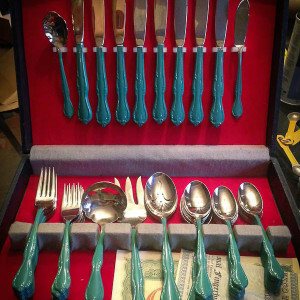 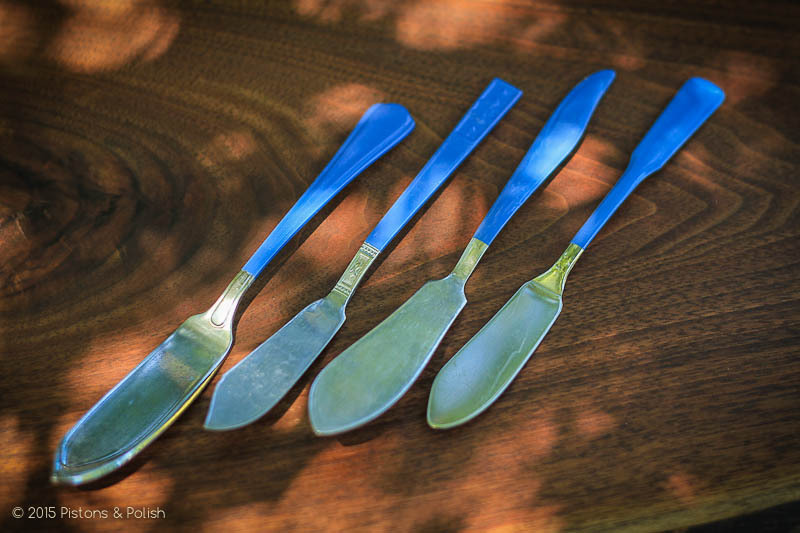 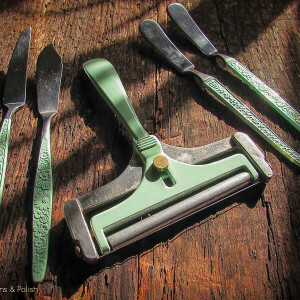 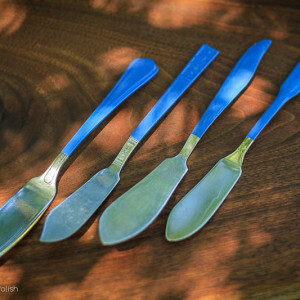 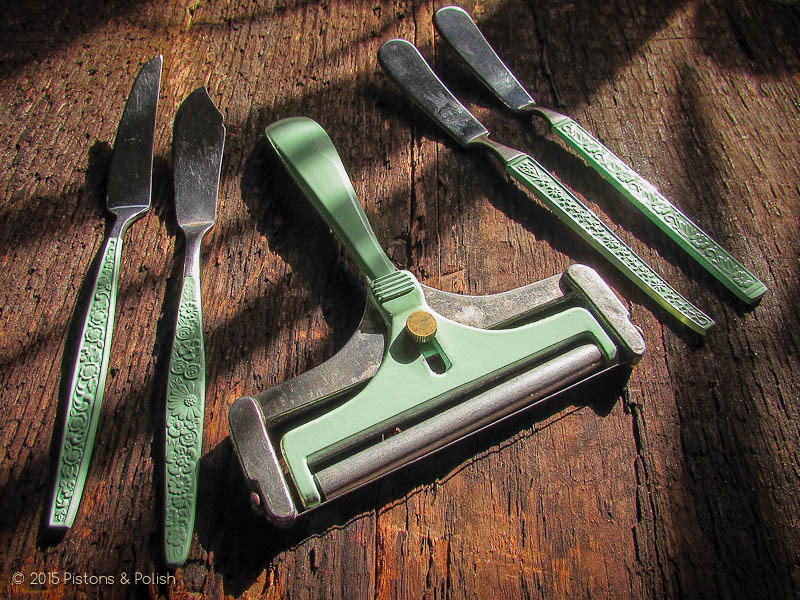 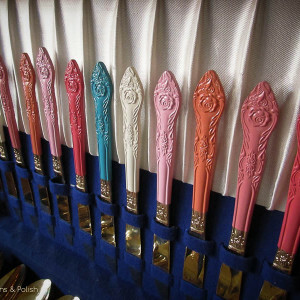 Distant Blue Butter Knife Set. 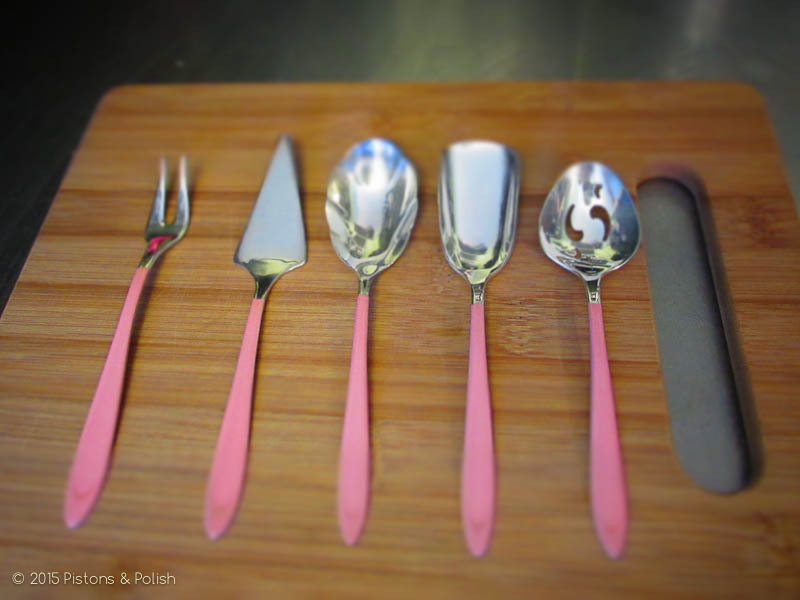 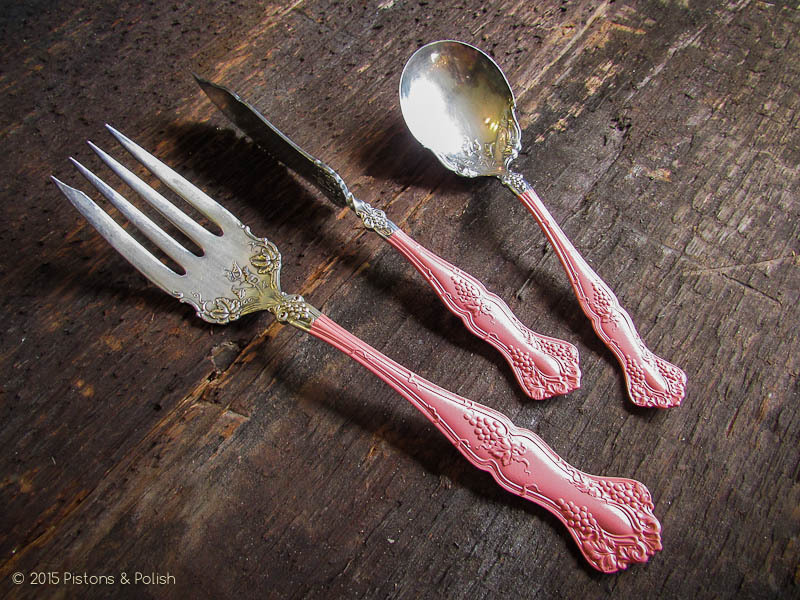 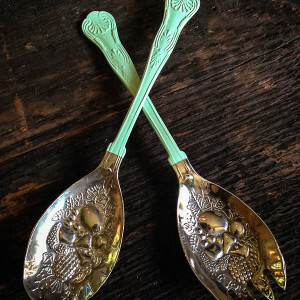 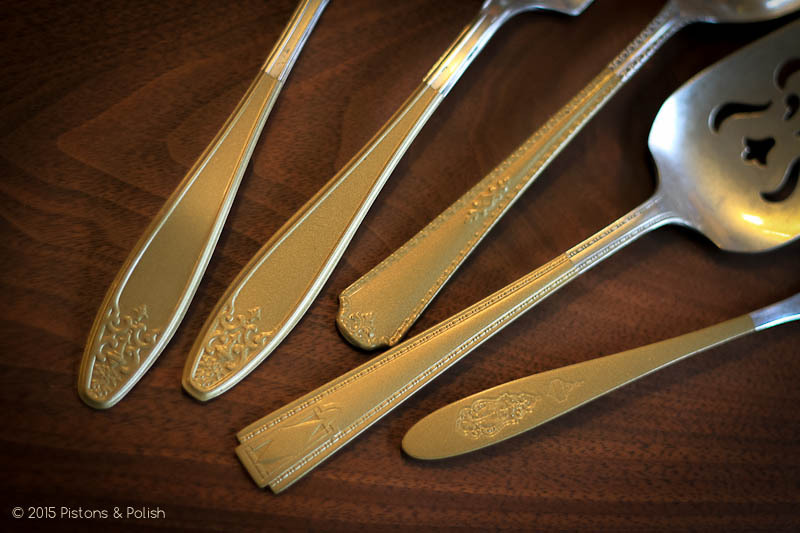 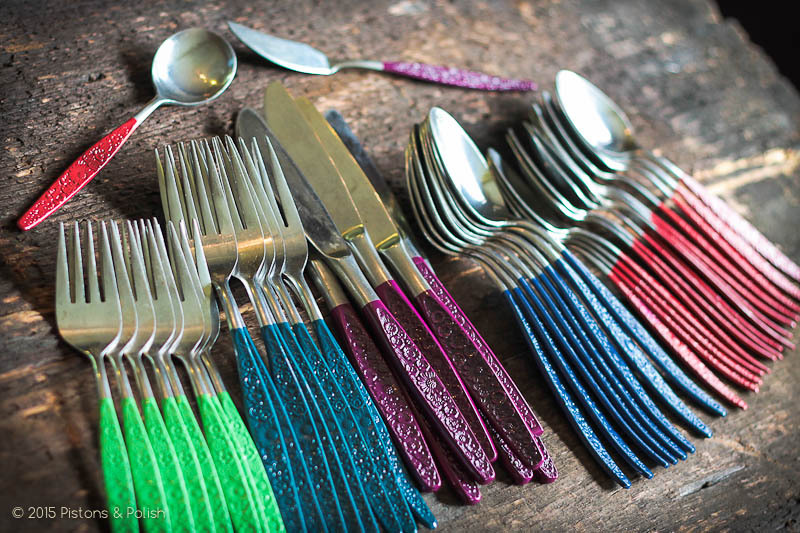 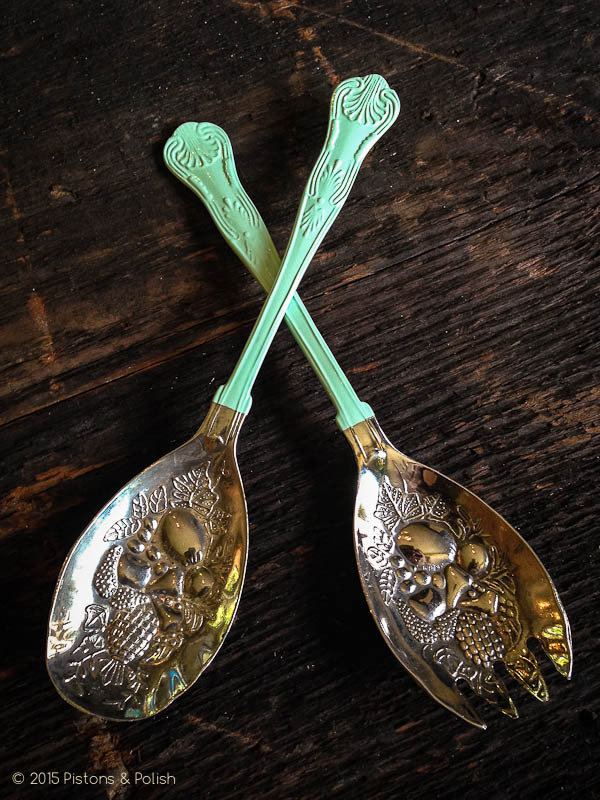 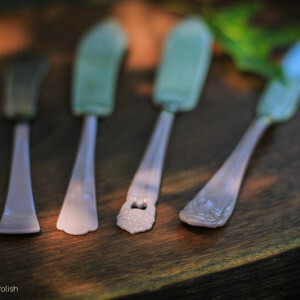 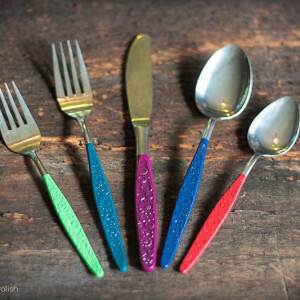 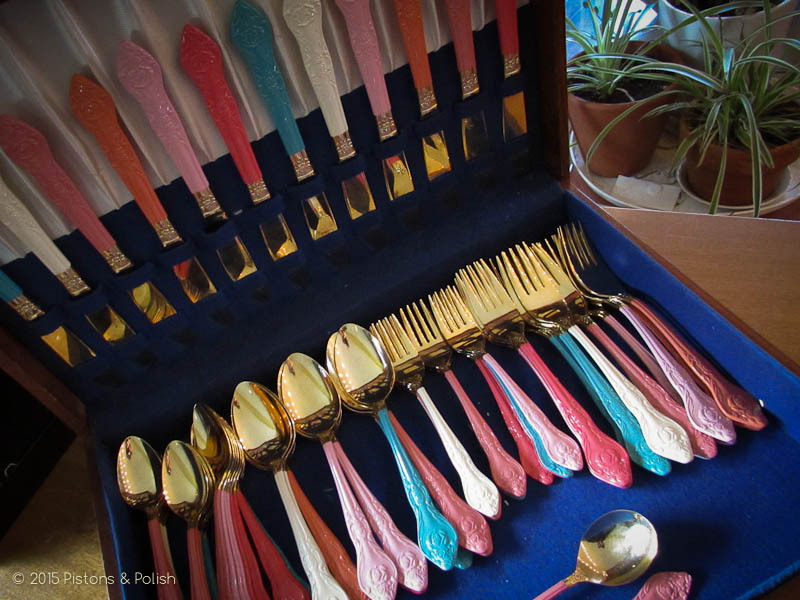 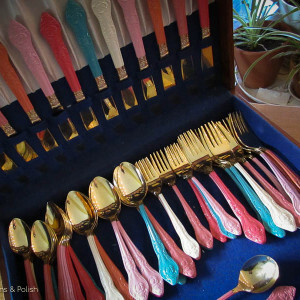 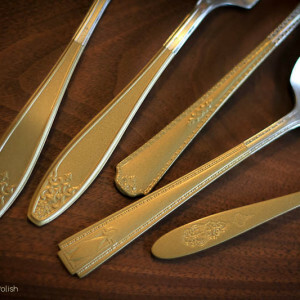 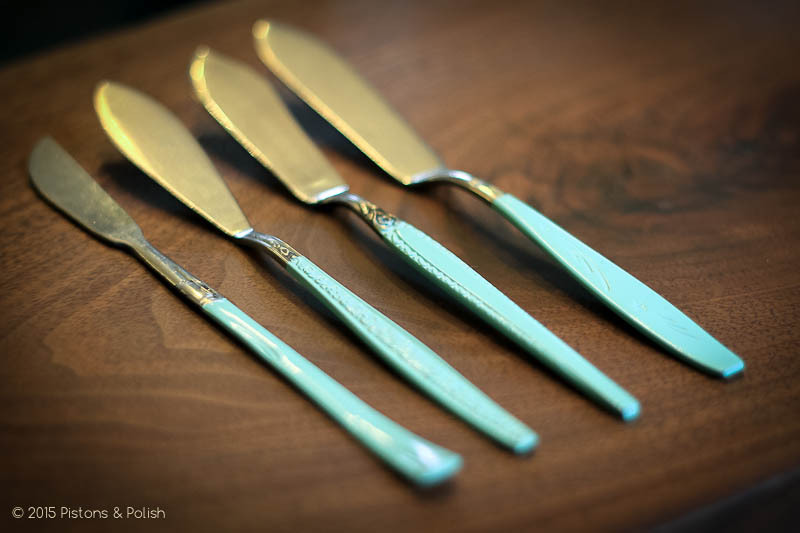 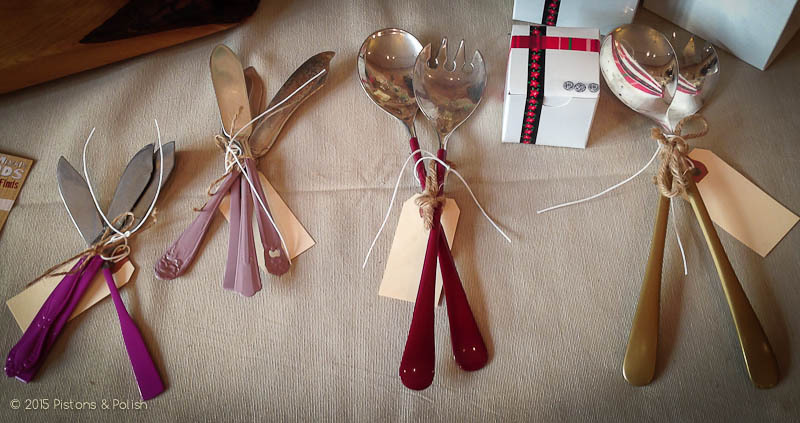 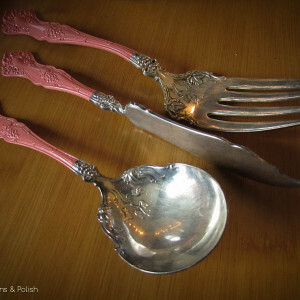 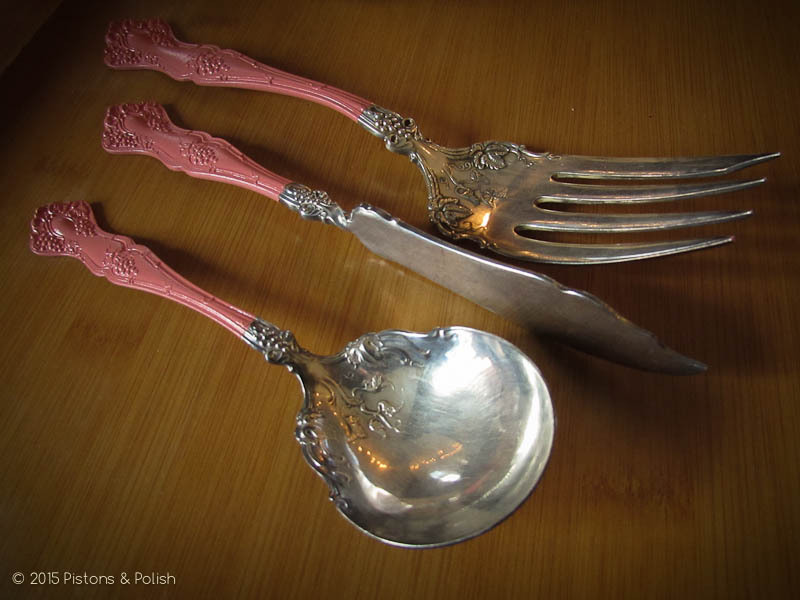 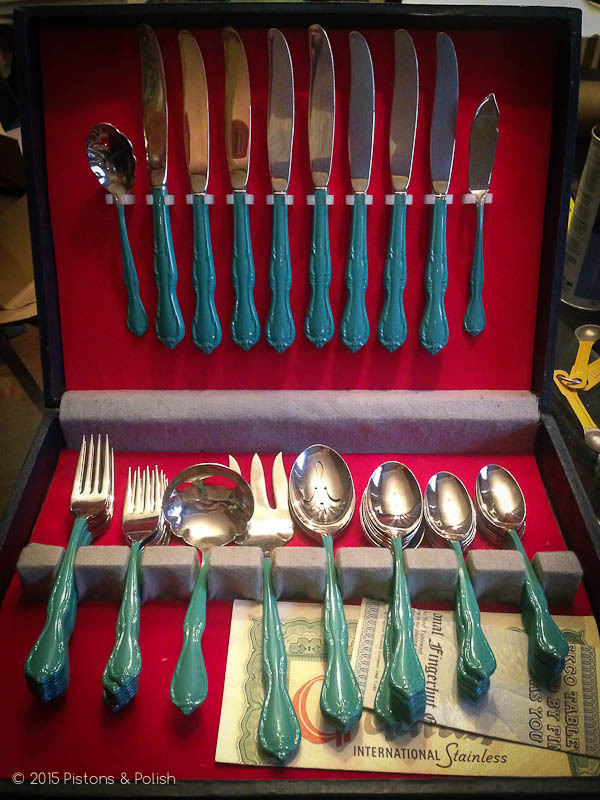 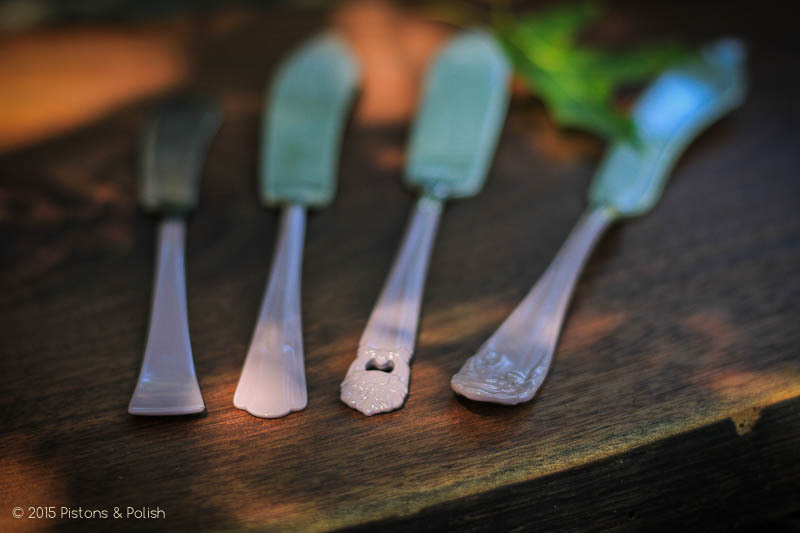 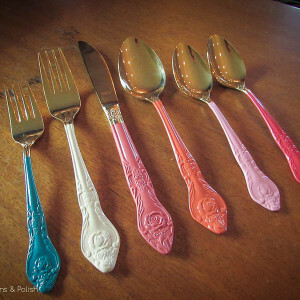 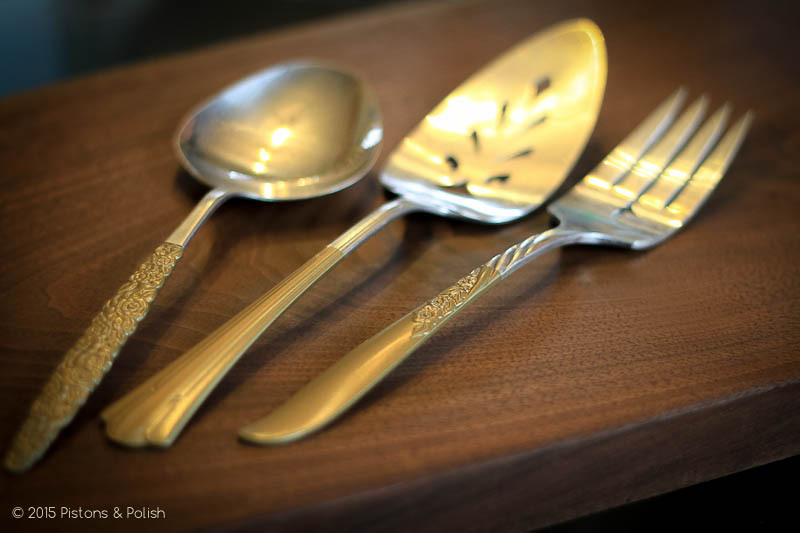 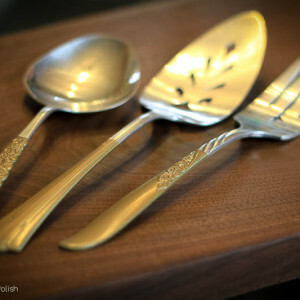 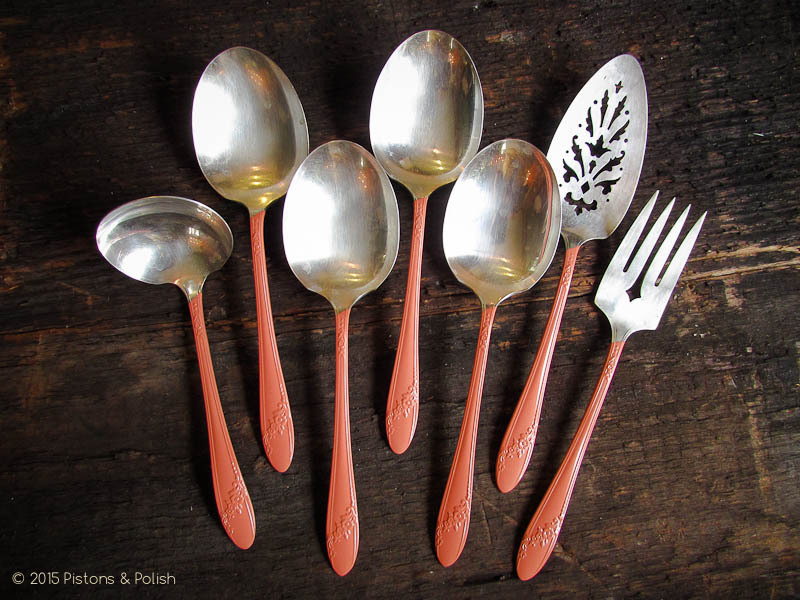 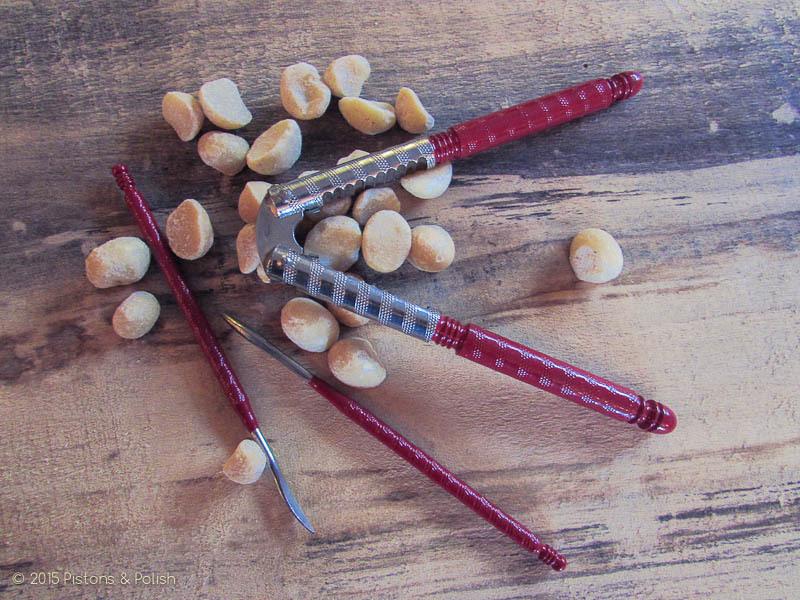 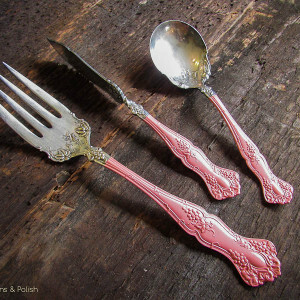 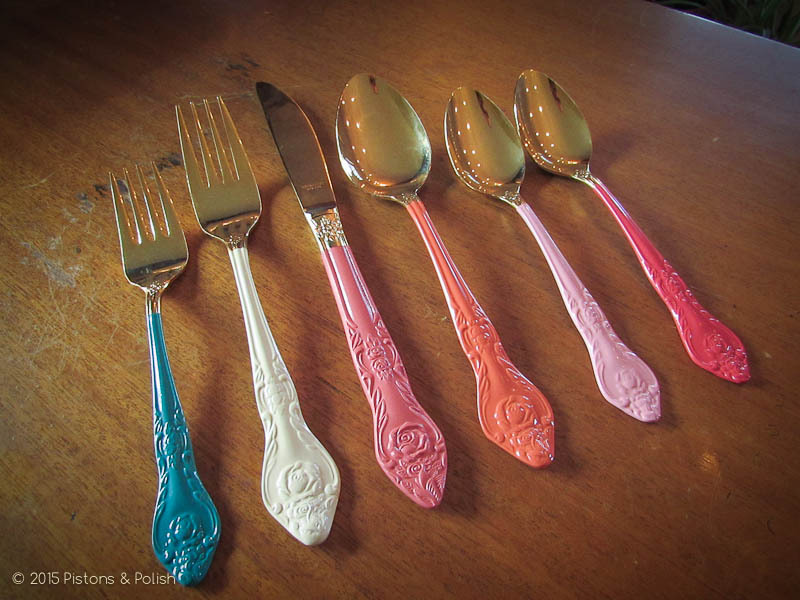 Our Custom Flatware is sourced through local markets, auctions and private sales. 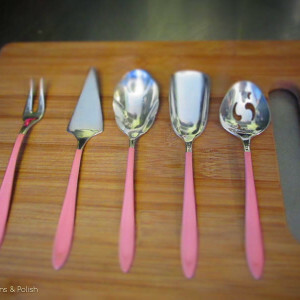 We then painstakingly mask and Powder Coat each and every piece by hand and bake it in our dedicated oven (so our cupcakes don’t taste funny) for an incredibly vibrant, food safe & durable finish with a fun twist on the original. 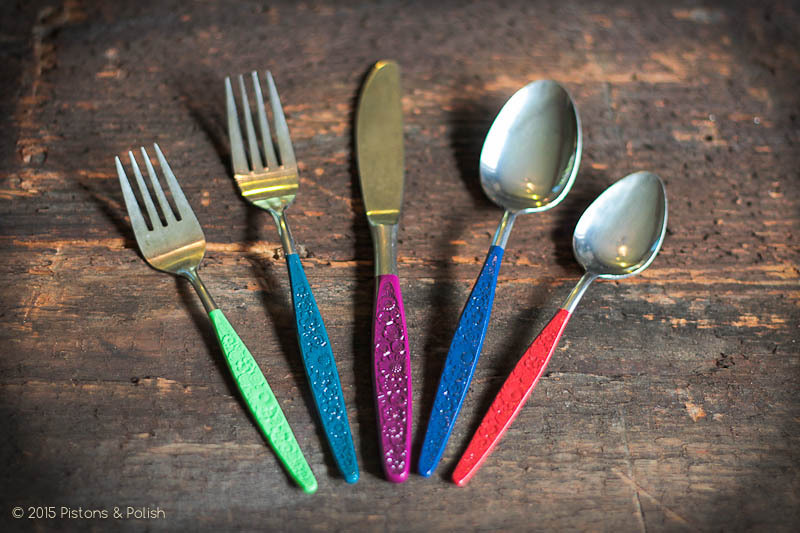 Almost any color and finish is available, just ask! 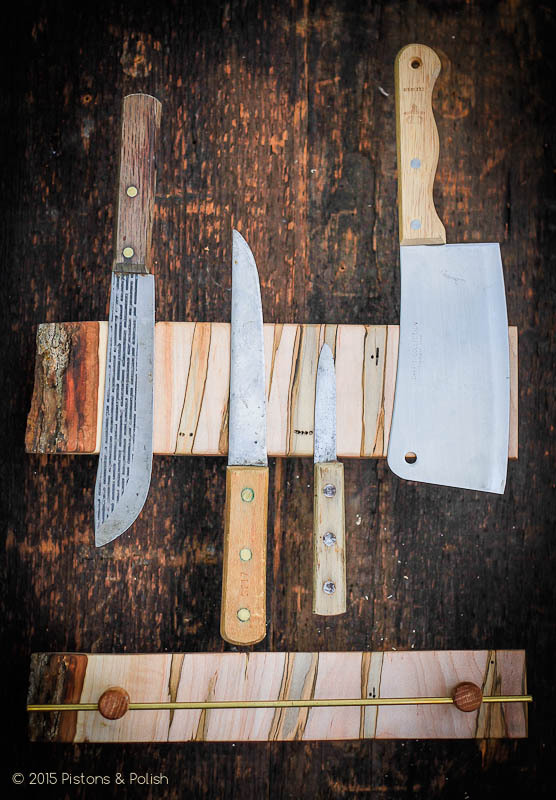 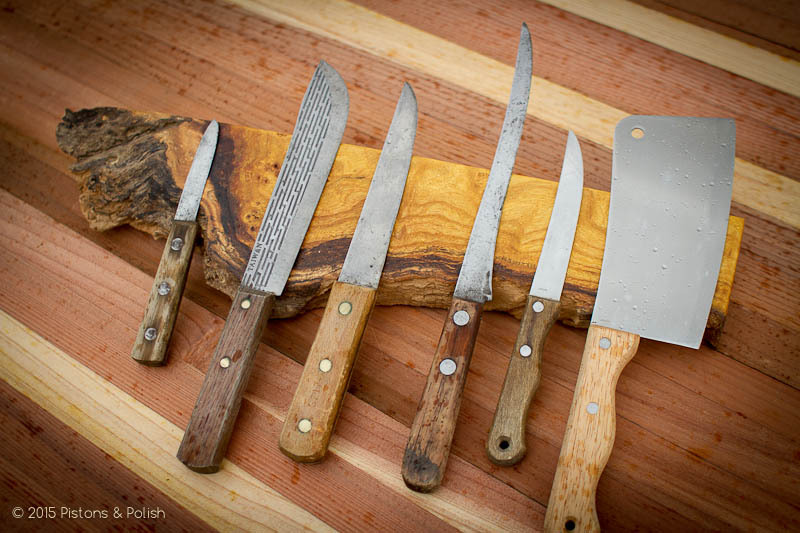 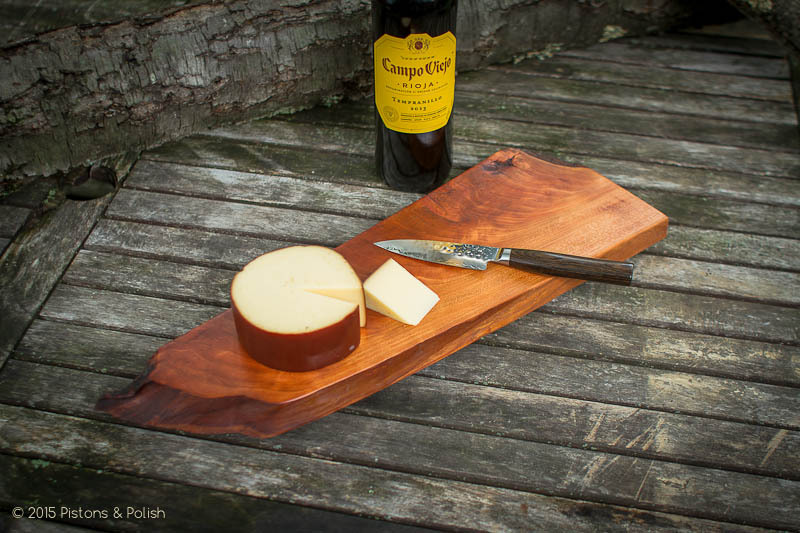 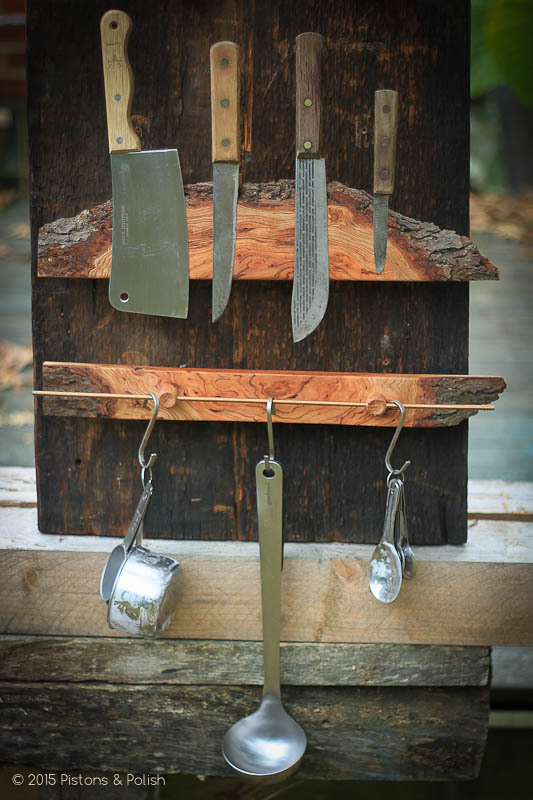 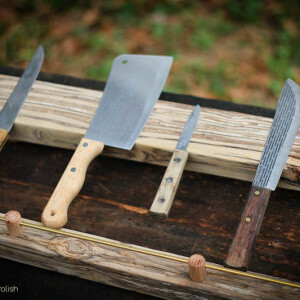 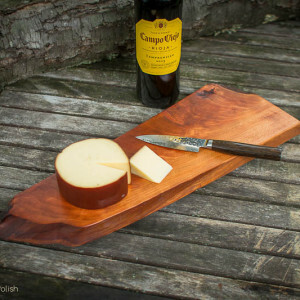 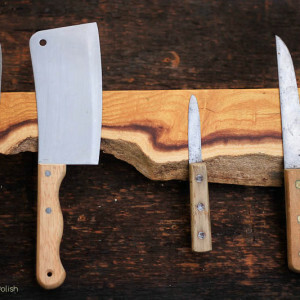 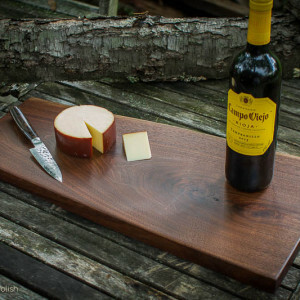 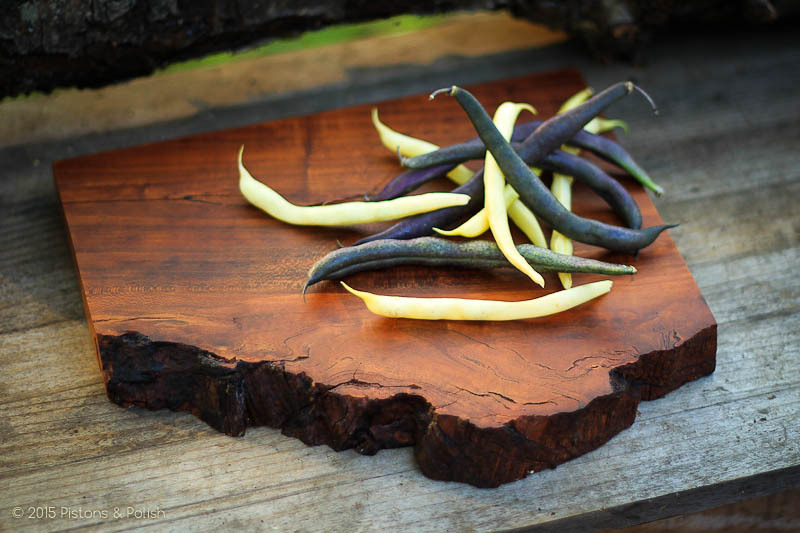 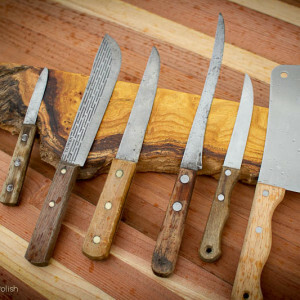 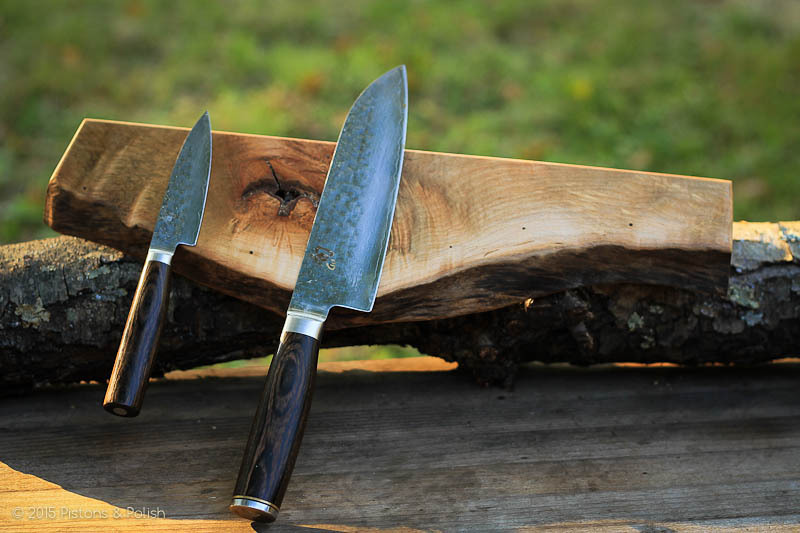 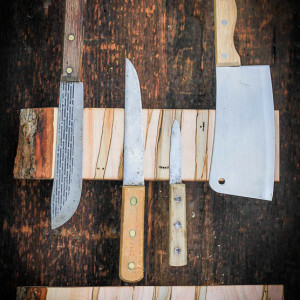 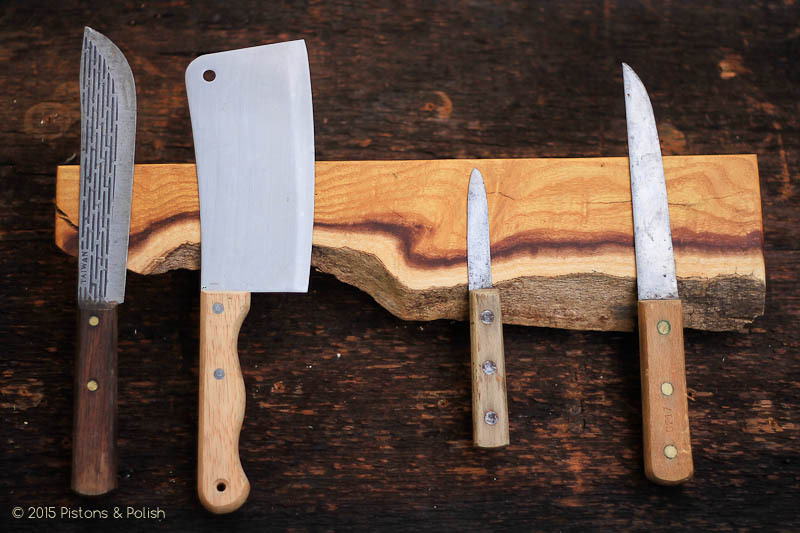 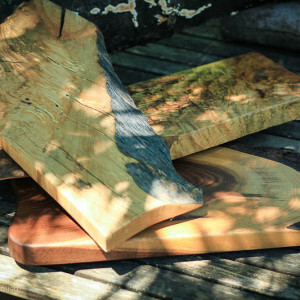 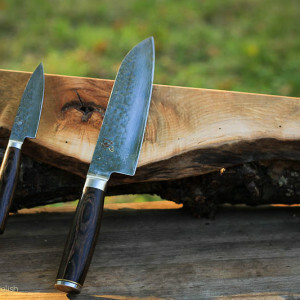 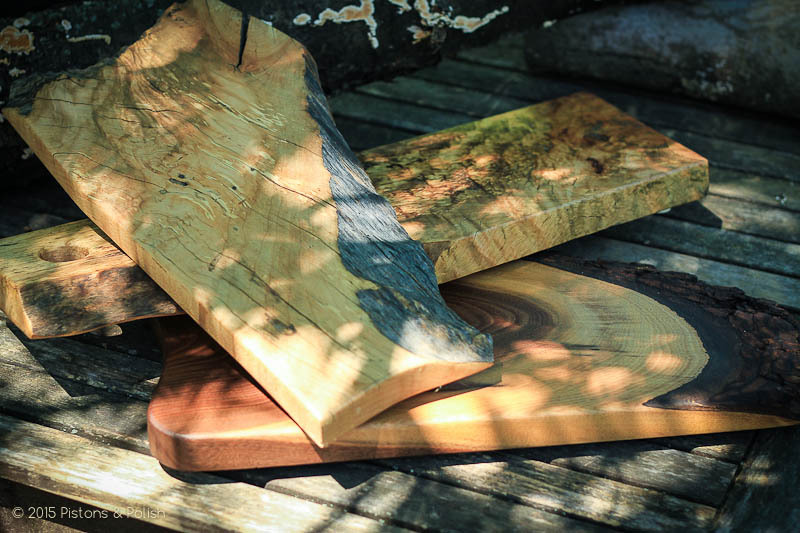 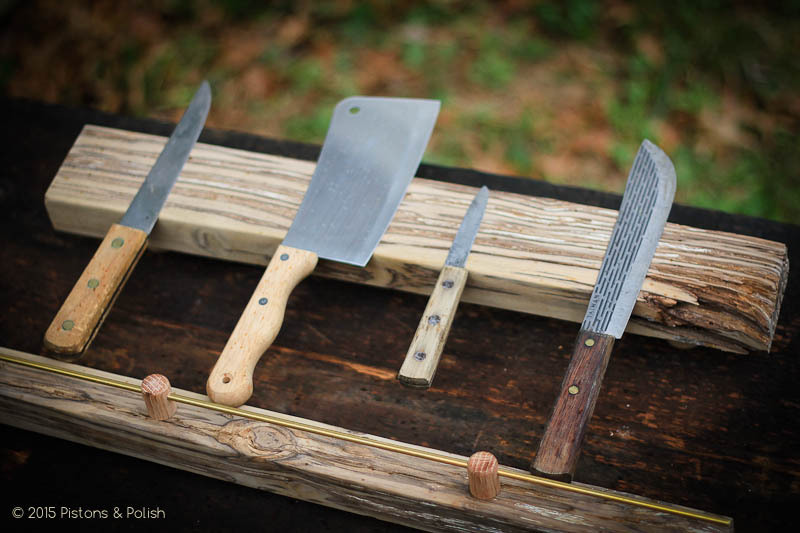 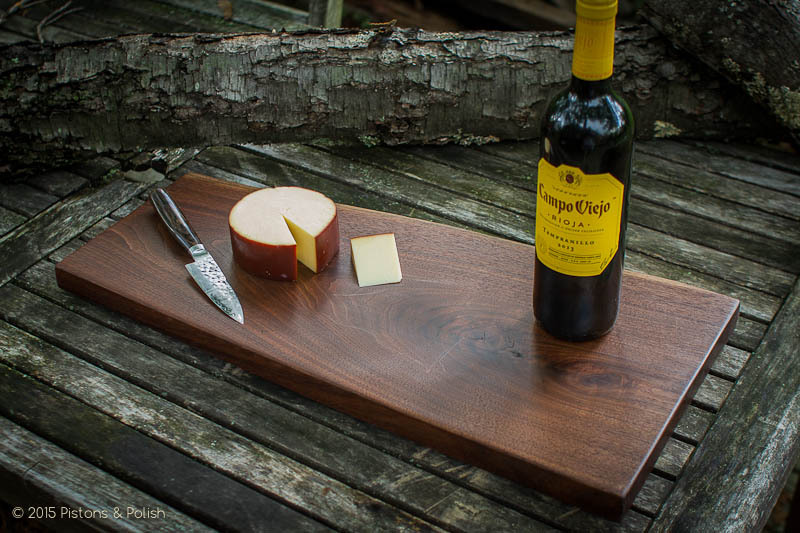 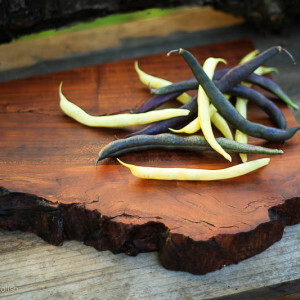 Live Edge Magnetic Knife Boards & Wooden Serving Boards are made in house with locally sourced and sustainably harvested woods. 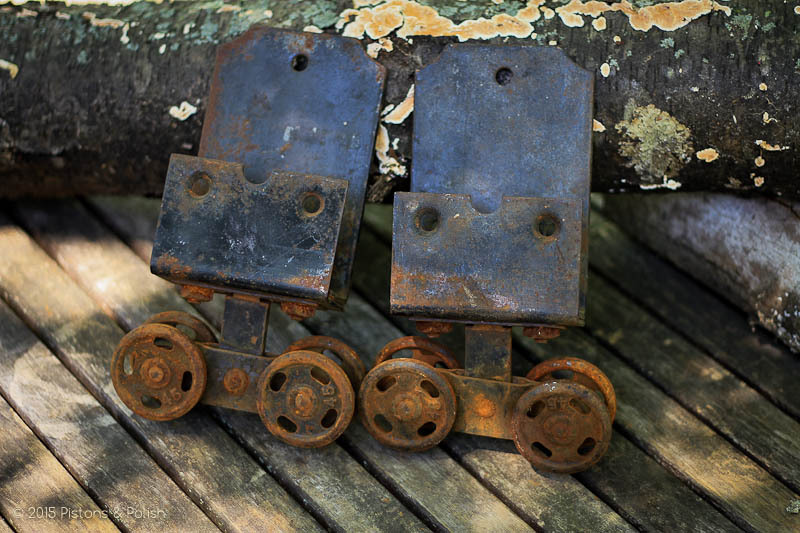 Trees downed due to storm damage or municipal trees growing into power lines are common sources for our lumber, much or which would have just ended up in a chipper. 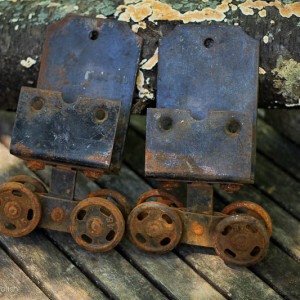 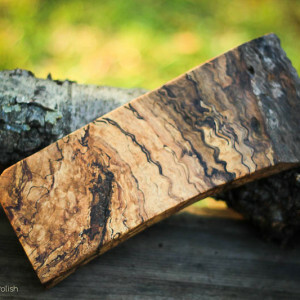 We’re also the first number on our friends’ and families’ speed dials when it comes time for them to take down that tree that’s causing them problems, so we have a very personal connection with the source of many of the woods we work with. 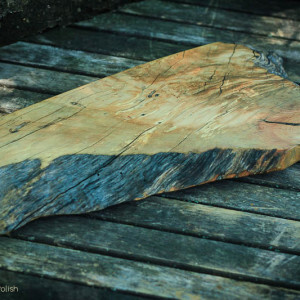 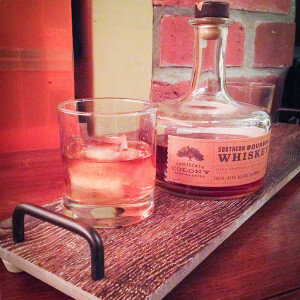 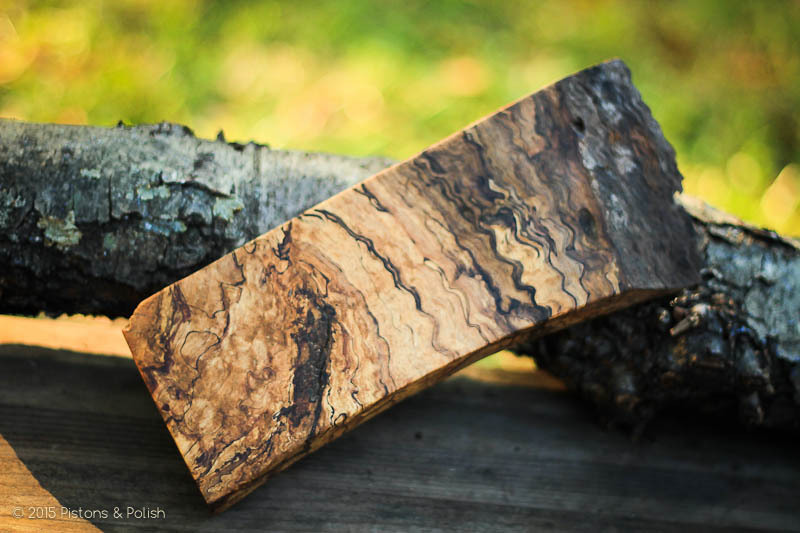 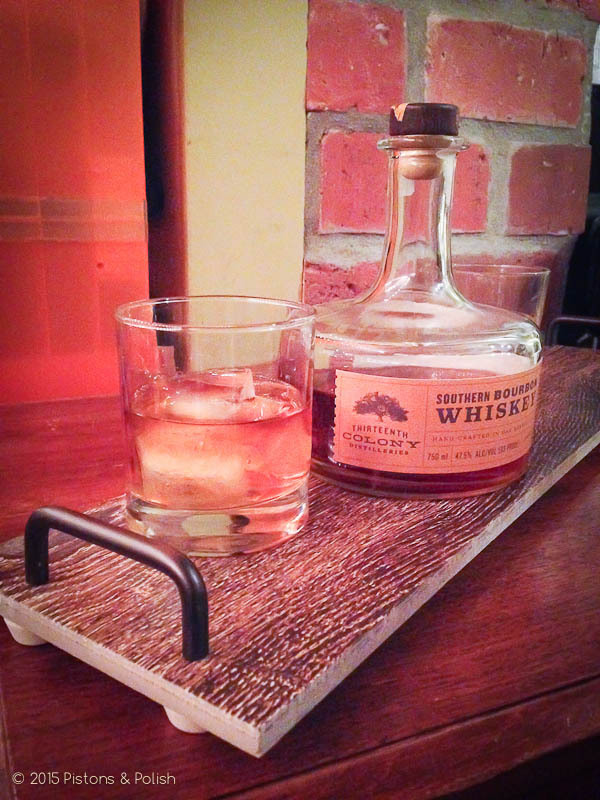 The “live edge” refers to the barky, rough edge left on most of our lumber. 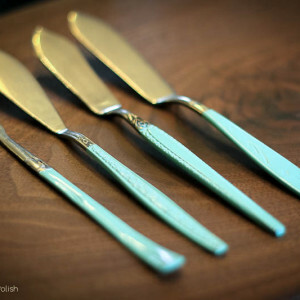 Most people simply cut this off and consider it to be waste material. 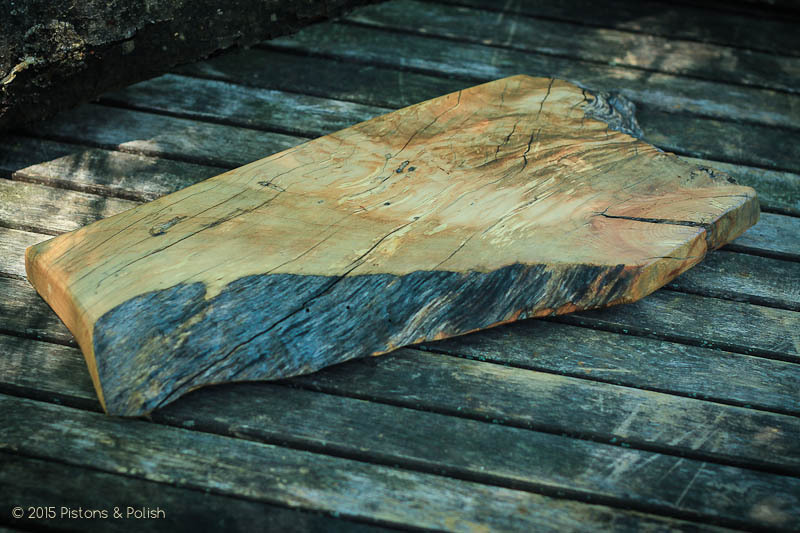 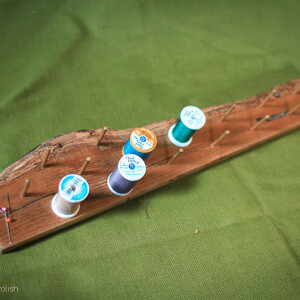 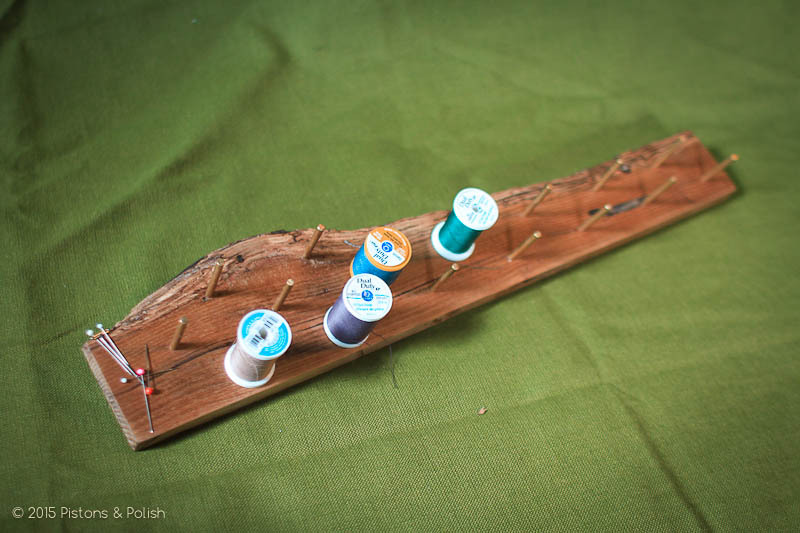 We find the irregular and natural edge fascinating and whenever possible try to showcase it as part of the piece making each piece that much more unique.